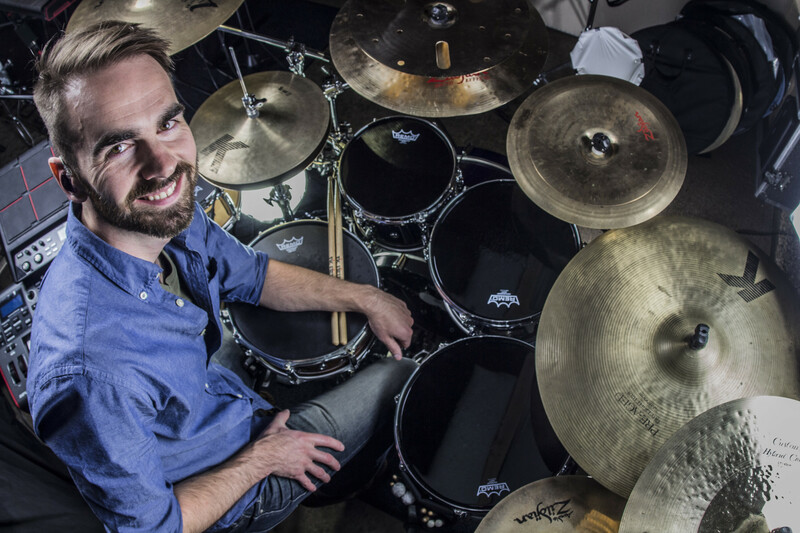 Nick Molenda studied Jazz Drumset and Percussion at the University of Washington in Seattle, WA, and has been performing & educating for over 16 years. As an educator, Nick is well-respected in the northwest marching percussion community & beyond most notably from a 7-year stint coordinating the University of Washington Husky Drumline. During his time with UW, Nick helped propel the UW drumline from regional to national prominence. In the summer of 2013, Nick also led the Seattle Cascades Drum & Bugle Corps to their highest percussion scoring on the Drum Corps International tour in several years. At the high school level, Nick served as a front ensemble & sound design supervisor for the award-winning Kamiak High School (Mukilteo, WA) WGI Winter Percussion Ensemble in 2012 and 2013 during their undefeated run in the NWAPA regional competition circuit. Nick has also been involved with both the Seattle Seahawks Blue Thunder Drumline & Seattle Sounders FC Sound Wave Band. These days, Nick maintains engagement teaching privately, consults with various groups, & regularly adjudicates for regional marching band, drumline, and solo & ensemble competitions. In addition, Nick has built a sizable following of drumming enthusiasts on YouTube, gaining world-wide acclaim from a short series of note-for-note transcription performance videos. Perhaps most remarkable was a shocking replication of a near 5-minute classic Aaron Spears solo from Spears’ performance at the 2006 Modern Drummer Festival Weekend of Usher’s hit “Caught Up”. Spears himself even lauded the effort via Twitter within hours of the original upload. Nick currently resides in Seattle, WA with his fiancee, Bridget.